The Port Clinton Lions Club supports Project Lifesaver. More information can be found on their website https://projectlifesaver.org/. 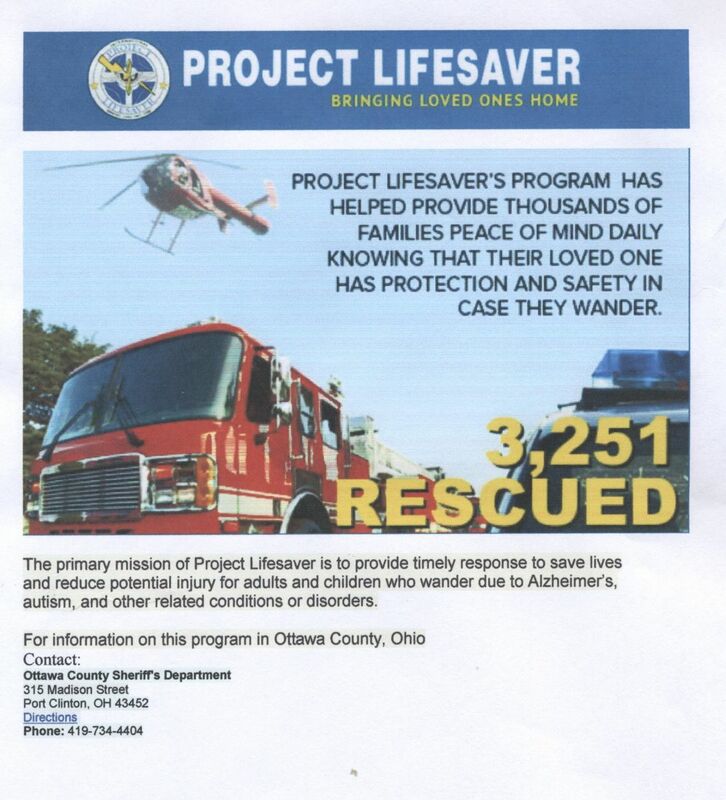 Also information can be found on the Project Lifesaver Facebook page https://www.facebook.com/ProjectLifesaverInternational/.